Working with you, United Way of Monroe County helps to improve people’s lives in our community. 1. We collaborate on initiatives that help individuals and families attain the building blocks of a better life: education, earnings, and essentials. Together, we can help people in need meet their critical needs today. More than that, we can work together to create the kind of stability that reduces those urgent situations. Within education, earnings, and essentials, we work toward ten specific goals. Building job and life skills. 2. We provide financial allocations to 25 member agencies who use these grants for immediate good and as matching funds to bring additional state, federal, and private grants into our community. With our help, member agencies use less of their own money and energy on fundraising efforts. We also provide them with resources, materials, technical support, and professional development opportunities. To promote early literacy and school readiness skills United Way partnered with IU Health Riley Physicians for the ‘Let’s Read’ program to distribute information packets and 6,124 books to children at their 6-months through 5-years wellness visits. 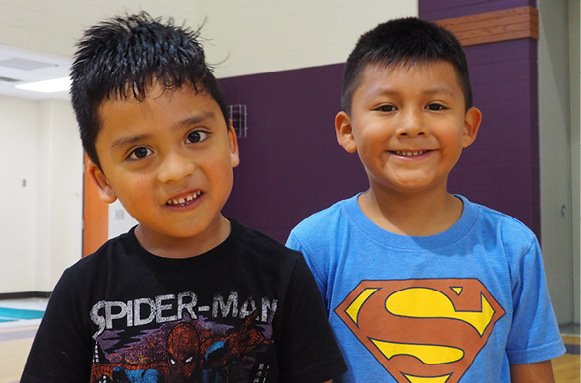 838 school children received supports like clothing, shoes, school supplies, medical services, and special transportation assistance through the MCCSC and RBBSC Assistance Funds so they could fully participate in classes. Of high school seniors enrolled in mentoring programs at United Way member agencies, 94% graduated and 91% have plans to further their education/training. At Girls Inc., 60% of girls reported an increase in their leadership skills and 75% of girls in science programs increased their science knowledge. 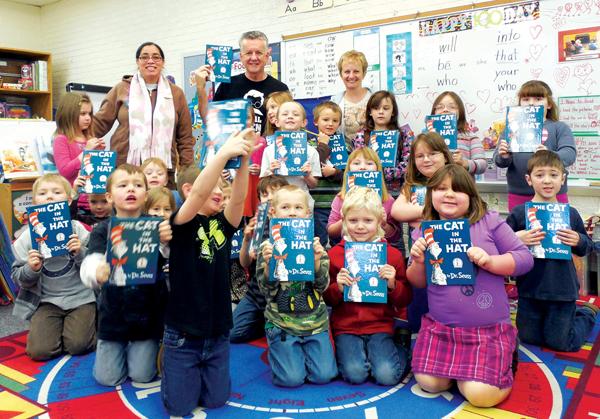 United Way's Real Men Read initiative brought 17 male mentors into 17 kindergarten classrooms to read a book each month with the goal of encouraging all children, particularly boys, to see reading as something that men value. During 2017, we distributed 1,955 books to 391 kindergarten students. 419 students and families received transportation assistance through the MCCSC Assistance Fund to support parent engagement and ensure students were able to attend school. 90% of children tutored through the Area 10 Agency on Aging RSVP America Reads program showed marked improvement in reading. 20 community members with disabilities transitioned into fully independent employment because they no longer needed workforce support. 78% of parents with children enrolled at Monroe County United Ministries reported improved employment or education opportunities and 84% of parents reported an improved financial situation because of MCUM’s sliding-fee childcare. United Way developed and implemented the 'Dollars & Sense' financial knowledge program for teens at local youth agencies. Nearly 24,000 rides on Rural Transit and bus passes were provided so people without transportation could get to and from work. 187,714 bags of groceries and 1,773,681 meals were provided to community members at risk of hunger in Monroe, Owen, and Greene counties. 1,157,236 pounds of fresh produce were distributed through food pantries. 98% of clients who participated in Mother Hubbard’s Cupboard nutrition, gardening, or cooking programs report healthier eating habits. 921 households were assisted with rent, mortgage, and utilities making it possible for them to stay in their homes. Middle Way House provided 187 adults and 108 children who experienced domestic violence with safe emergency shelter. The Free Community Tax Service program brought together over 135 volunteers to help local residents file 2,382 federal returns at 6 full-service VITA sites managed by United Way, plus 2 sites managed by AARP/TCE, a mobile unit that was hosted by 8 organizations throughout the community, and a facilitated self-service site at Work One. Residents could also file using MyFreeTaxes.com. Clients report using those saved funds (as much as $705,000 in tax preparation fees) and increased Earning Income Tax Credits to pay for food, clothing, bills, rent, and to put toward savings. With the IRS and other partners, the FCTS helped low-income people in Monroe and Owen counties. 263 filers received EIT credits. 477 people with disabilities, veterans, and at-risk community members now have safe and stable long-term supportive housing. 1,107 local people, 68% of them children, participated in mental health services at no or low-cost. The Red Cross assisted 65 residents with emergency basic needs and 24 households with long-term recovery case management in the aftermath of natural disasters and house fires. 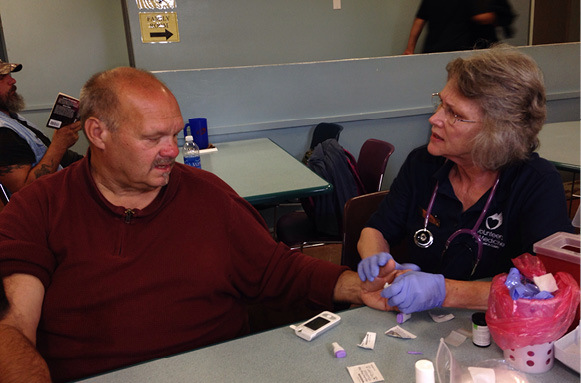 Volunteers in Medicine provided 7,456 medications valued at $993,784 at no cost to community members who are under-insured or have no health insurance. United Way provides support for the statewide 2-1-1 service. In 2017, 2-1-1 specialists and online database searches responded to 3,752 inquiries from Monroe, Owen, and Greene counties and made 5,138 referrals. Most callers were seeking help with housing and utilities assistance, and food. 81% of victims of domestic violence, recovering addicts, and families residing in transitional shelter were able to move successfully into stable, affordable, safe, permanent housing. The list goes on. 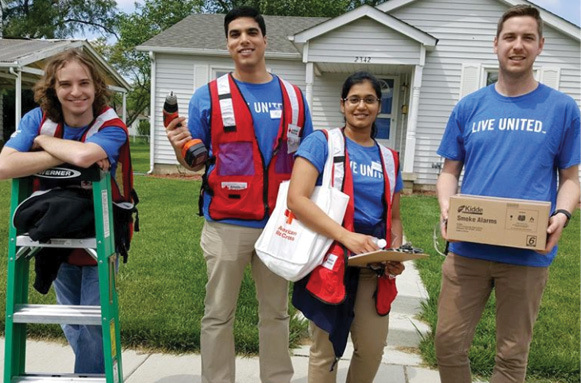 Read more about our initiatives and our member agencies, whose work is funded in part by United Way’s Community Action Fund. 3. We understand that a strong nonprofit sector will translate into a stronger community. United Way helps community organizations acquire the knowledge, tools, and resources to fulfill their missions. Find out more. Visit Nonprofit Resources.